Why is MesoLawyersCare the Right Choice? The MesoLawyersCare law firms have all been representing people diagnosed with mesothelioma (and their families) for decades. Our firms have more than 100 years of combined experience handling mesothelioma cases. We have unmatched knowledge of the medical and scientific evidence needed to effectively handle asbestos cases. We have literally millions of pages of evidence showing the identity and location of asbestos products in tens of thousands of locations. We are able to draw on our decades of experience to fight for you and insure that you receive the maximum amount of money possible for your mesothelioma case. Any lawyer can put up a website and advertise for cases. But getting results matters. The MesoLawyersCare law firms have attained results that have positively affected the lives of mesothelioma patients and families for decades. We are proud of the long list of verdicts and settlements we have won for our very deserving clients. We are proud to have won both the largest compensatory and punitive damages verdicts ever upheld on appeal in mesothelioma cases. Over many decades, we have successfully recovered over 10 billion dollars for our clients. When you hire a MesoLawyersCare law firm, you will know you are hiring a group of mesothelioma lawyers with a proven track-record of getting results. The “Care” in MesoLawyersCare is about giving back. Our law firms decided long ago that it was not enough that we help mesothelioma patients in court. We are committed to try to cure mesothelioma. That’s why we have given millions of dollars to fund mesothelioma research and patient care. When you contact us through MesoLawyersCare, you can feel good in knowing that we will donate a percentage of any attorney’s fees that we earn in your case to mesothelioma research and patient care. Donations by the MesoLawyers Care law firms have been used to fund: (1) non-profit organizations supporting research to cure mesothelioma and raising awareness about the dangers of asbestos and why it should be banned; (2) mesothelioma cancer centers; and (3) fundraising events for mesothelioma research. If you or a loved one has been diagnosed with mesothelioma, the choice is simple. You need to call MesoLawyersCare so that you can hire lawyers with experience, a proven history of success and a commitment to giving back to cure mesothelioma. Experience matters, results matter and giving back matters – that is what MesoLawyersCare is all about. Don’t wait – contact us today. The consultation is free and you will not pay any attorney’s fees unless we recover money for you. So, please take a minute for you and your family to reach out to us by filling out the form on this website or call 1-888-568-1177. “I wouldn’t hesitate to refer Levy Konigsberg to anybody who has experienced a case of mesothelioma”. Marlene. Her father was diagnosed with mesothelioma. “I will always remember and be thankful for your hard work on my behalf as well as your friendship”. Jim S. Nemeroff client. “I sincerely thank you [Cooney & Conway] for filing on our behalf. I am deeply appreciative of your counsel, time and caring. Alice. “Your [Kazan] assistance in recovering compensation for my fiancée’s claim has been appreciated. It saddens me that after serving his country for 30 years, he passed from mesothelioma. His family and I will be grateful always”. Ms. Y.P. “After finding the right doctors I found the right lawyers in Levy Konigsberg”. Gary. “I have never met anyone so honestly concerned and deeply caring in my lifetime. You [Nemeroff] showed respect and professionalism throughout this process”. “You [Kazan] have helped to get all our grandchildren through college”. Leo and I both thank you”. Consolidated Mesothelioma Plaintiffs $200,000,000 177 plaintiffs simultaneously were sent to trial in meso-asbestos trials in Cook County, Illinois. During the trials Kevin J. Conway, William R. Fahey, John D. Cooney, Bob Cooney and lawyers at Cooney & Conway settled the matters for a total of over 200 million dollars. It was the highest personal injury settlement in Illinois. Steven Lanzo $117,000,000 $117,000,000 verdict in trial against Johnson & Johnson and Imerys for Steven Lanzo, who developed mesothelioma after using J&J Baby Powder and Shower to Shower. Consolidated Mesothelioma Plaintiffs $90,500,000 Eleven families from Manville, NJ, represented by New Jersey mesothelioma lawyers from Levy Konigsberg LLP, receive groundbreaking $90.5 Million in wrongful death verdicts against the foreign companies that sold asbestos to Johns-Manville in 1950s - 1980s. William Falloon $64,650,000 $64,650,000 verdict reached in New York, NY against Westinghouse Electric. Alfredo Hernandez $55,500,000 Plaintiff Alfredo Hernandez was awarded $55,500,000 following exposure to asbestos. Consorti, Luchnick, Pulizzi, and Tabolt $47,150,000 LK mesothelioma lawyers Robert I. Komitor and Moshe Maimon represented four individuals suffering from mesothelioma in a consolidated trial in New York Federal Court, Southern District against LIRR. James H. $35,100,000 After deliberating on the evidence presented by Mr. Fahey and his co-counsel and hearing their arguments, the jury awarded Mr. H. over $35.1 million in damages. Louis William Tyler $32,800,000 California verdict which found American Optical Corporation was responsible for Mr. Tyler developing mesothelioma. Susan M. Buttitta $30,300,000 New Jersey Appellate Division upholds the state’s largest $30.3 Million mesothelioma compensation verdict in a lawsuit brought by LK’s client Susan M. Buttitta both individually and on behalf of the estate of her late husband Mark Buttitta, who died of mesothelioma. Mr. & Mrs. Grigg $27,342,500 The jury awarded Mrs. Grigg $12,000,000 in damages for her pain and suffering, Mr. Grigg $4,000,000 in damages for his loss of consortium, and $342,500 in economic damages. The jury also levied an $11,000,000 punitive damages verdict against Owens-Illinois, Inc.
City of Baltimore $23,000,000 LK attorney Stanley J. Levy obtained a compensatory and punitive verdict on behalf of the City of Baltimore for recovery of its asbestos abatement costs against suppliers of asbestos-containing spray materials. Richard Booker $22,000,000 Asbestos-containing industrial talc verdict in California against San-Jose-based Imerys Talc America, Inc. and Vanderbilt Minerals, LLC headquartered in Norwalk, Connecticut. Bernard Mayer and the estate of Noah Pride $22,000,000 Former apprentice electrician at the Brooklyn Navy Yard and Navy and Merchant Marines seaman awarded mesothelioma compensation verdict of $22 Million for their mesothelioma cancer caused by asbestos exposure. Bill and Vonda Hardcastle $20,500,000 Kazan Law principals Dianna Lyons and Frank Fernandez successfully tried the case against J-M A/C Pipe Corporation. Karen Peterson and Jeffrey Peterson $20,000,000 An Alameda County Superior Court jury found Hill Brothers Chemical Company responsible for mesothelioma. John Matteson and Natalie B. Lustenring $19,500,000 Mesothelioma compensation verdict of $19.5 Million was awarded by a New York jury to former apprentice electrician at the Brooklyn Navy Yard and maintenance mechanic at the Pfizer manufacturing plant in Brooklyn, New York, both represented by mesothelioma lawyers from Levy Konigsberg LLP. Consolidated Mesothelioma Plaintiffs $18,500,000 In a consolidated trial on behalf of Brooklyn Navy Yard workers, LK mesothelioma attorneys Moshe Maimon and Robert I. Komitor represented 32 plaintiffs who had developed a variety of asbestos-related diseases including asbestos lung cancer, asbestosis, colon cancer, and mesothelioma. Consolidated Mesothelioma Plaintiffs $18,200,000 LK mesothelioma lawyers represented five individuals, who died from mesothelioma, whose cases were tried in New York State Supreme Court. Mr. & Mrs. Bankhead $17,470,000 The jury found that all defendants defectively designed their brakes, failed to adequately warn consumers and customers of the dangers the brakes posed, were negligent, and intentionally concealed information that could have prevented the harm Mr. Bankhead suffered, all of which contributed to causing Mr. Bankhead’s mesothelioma. Blackburn $16,985,000 Verdict reached in Dallas, TX for $16,985,000 for the plaintiff after suffering from asbestosis. Nemeth $16,500,000 LK achieved a $16.5 million verdict against a cosmetic talc distributor in the first-of-its-kind trial on behalf of a Long Island peritoneal mesothelioma victim who used cosmetic talc for over a decade. Consolidated Mesothelioma Plaintiffs $14,300,000 LK mesothelioma attorneys Robert I. Komitor and Moshe Maimon represented five powerhouse workers in a consolidated trial held in the Federal Court, Eastern District of New York. Ciletti, McPadden, Greff $14,250,000 Three individuals suffering from mesothelioma whose cases were tried by Moshe Maimon in the United States District Court for the Southern District of New York. Schelessinger $14,000,000 $14,000,000 verdict reached in New York, NY against Owens Corning Fiberglass. Scanlon $12,600,000 $12,600,000 verdict reached in New York, NY against Owens Corning Fiberglass. Kevin B. $12,300,000 An insulator who died of mesothelioma, whose case was tried to jury verdict in the Circuit Court of Cook County by Cooney and Conway attorneys John Cooney, William Fahey, and Jim Hopkinson. City of Baltimore $12,110,000 LK attorney Stanley J. Levy obtained a compensatory and punitive verdict on behalf of the City of Baltimore for recovery of its asbestos related costs against suppliers of asbestos-containing pipe-covering insulation. Frederick Schulte $12,000,000 A shipbuilder who was repeatedly exposed to dangerous asbestos throughout his career, was awarded a $12 million dollar verdict in his case filed in Orleans Parish. Donald Mueller $12,000,000 New Orleans jury returned a $12 million verdict against Ameron International, and others, for the asbestos related mesothelioma that took the life of Donald Mueller. Don Lee Henderson & Marlene Henderson $11,500,000 An Alameda County jury found Eternit, Inc., manufacturer of enameled cement asbestos board, liable based on design defect, failure to warn and negligent supply. Richard Chisholm $10,550,000 Lawyers from Levy Konigsberg LLP won a $10.55 million verdict for the family of a man who died from mesothelioma due to asbestos exposure from talc mined and sold by R. T. Vanderbilt, Inc.
Collins $10,400,000 $10,400,000 verdict reached in New York, NY against Owens Corning Fiberglass. Fowers $10,309,000 Verdict for plaintiff who was exposed to asbestos during his work as a machinist in the U.S. Navy. Ulysses Collins and Cloristeen Collins $10,038,000 An Alameda County jury found asbestos supplier Plant Insulation liable for mesothelioma. Schroeder $10,000,000 Verdict in Philadelphia, PA against Melrath Gasket, Inc.
William Rhodes $10,000,000 Verdict of $10 Million awarded to a US Air Force veteran, who contracted mesothelioma as a result of asbestos exposure during his work as a residential heating oil serviceman. Michael Burch $10,000,000 Alameda County jury awarded a $10 million mesothelioma verdict to Michael and Cindy Burch, against defendant CertainTeed Corporation. 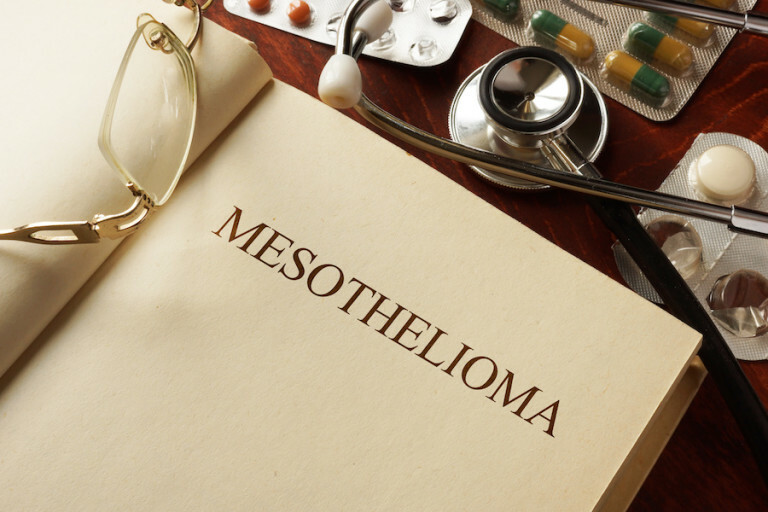 Consolidated Mesothelioma Plaintiffs $9,390,000 LK mesothelioma lawyer Robert I. Komitor represented three powerhouse workers: two suffering from asbestos lung cancer and one suffering from asbestosis and colon cancer. Robert Durbin & Wesley Roberts $9,250,000 Working as ironworkers, boiler-makers and pipe-fitters in an Exxon Refinery from the 1950s to the 1960s, the plaintiffs were exposed to asbestos and both diagnosed with mesothelioma. Rosenberg and Casale $9,000,000 Asbestos lawyers from LK obtain two jury verdicts totaling $9 Million on behalf of two mesothelioma victims, a former electrician and pipefitter, and their wives. Nolen $8,020,000 Verdict in Los Angeles, CA against Foster Wheeler. Richard Simpson $8,000,000 Federal Judge from New York’s Northern District Court rules in favor of a former naval submarine shipyard worker who developed mesothelioma as a result of the exposure to asbestos contained in ship equipment supplied by General Electric. Lewis Nash $7,700,000 LK lawyers won a jury’s verdict against Navistar, Inc.
Kenney $7,555,000 Verdict on behalf of a Louisiana man who was diagnosed with malignant mesothelioma following decades of working around asbestos-containing materials at two John Crane Inc. manufacturing plants. William and Debbie Condon $7,500,000 Levy Konigsberg LLP obtained a $7.5M verdict, including a $1M award of punitive damages, for a victim of mesothelioma and his wife. Daniel and Barbara Carlucci $7,300,000 Levy Konigsberg LLP won $7.3 million for the family of a mesothelioma victim after a six-week trial against defendant Union Carbide. Higgins & Johnson $7,150,000 LK mesothelioma attorney represented two shipyard workers exposed to asbestos while working at the Brooklyn Naval shipyard. Ralph P. North $7,000,000 Levy Konigsberg LLP wins a $7 Million verdict for a construction worker who developed mesothelioma as the result of asbestos exposure at LILCO’s Northport power station in Long Island, NY. Tripoli $7,000,000 $7,000,000 verdict in Pittsburgh, PA. against Koppers Company. Joan Robusto $7,000,000 Verdict for the family of Joan Robusto against Whitaker, Clark & Daniels. Jeff Emerson $6,951,000 Verdict against Union Pacific in Oakland, CA. Jeff Emerson was an employee who passed from mesothelioma in January 2014 at age 69. Patrick & Sharon Scott $6,825,000 Verdict against Ford Motor Company for Kazan Law clients Patrick and Sharon Scott. Angel Gomez & Daniel Tucker $6,640,000 The first-ever asbestos compensation verdict against the US welding rods industry, awarded to two LK clients. Jeanette Franklin $6,500,000 An Alameda County jury found USX Corporation, successor corporation to Western Pipe & Steel shipyard, liable for mesothelioma that arose after childhood household exposure to asbestos. Blandford $6,400,000 Case against Garlock Sealing Technologies in Cleveland, OH with a verdict of $6,400,000 to the family of a pipe-and-steam-fitter who died of mesothelioma.